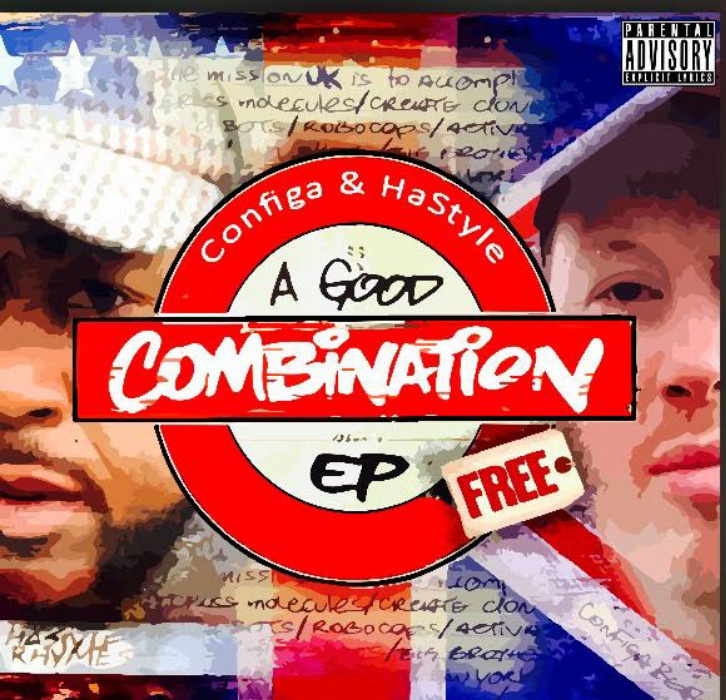 ‘A Good Combination’ is an aptly named title for this second EP of 2015 from the producer/emcee duo, with the UKs Configa providing the head nodding beats and with the lyricism and rhymes supplied by NYC rapper HaStyle. I’ve always prided myself on being one of the first sites to rep Configa’s music, he supported me at my time as Chief writer for StandUpUK and the support and love continued when I set up HHLAT. This dope EP dropped at the end of August and got some heavy rotation here at HHLAT, however I loved ‘A Good Combination’ that much that I kept tinkering with the review to the extent that I wasn’t happy to publish, so my sincere apologies to the homie Configa for the time its taken me to get this published and also to HaStyle. With that being said, lets move on to the music now if you’re a fan of that classic golden era sound then ‘A Good Combination’ needs to be in your collection, 8 tracks of soul sampled boom bap, laced with classic storytelling rhymes. Everything about this release is dope from the track ‘Jedi Mind Tracks’ with Configa’s ill production and HaStyle telling the story of the battle of minds in a relationship, through to the joint ’12Monkeys’ a track about people not meeting expectations within the industry (something as a blogger I can relate too!). After the duo payed homage to all the fallen soldiers of Hip Hop in their debut EP ‘The Calm Before HaStility’ with the joint ‘R.I.P’, with this latest release they pay their respects to all the female emcees that set the standards back in the day with the track ‘Paved The Way’ as Hastyle lists a string of legendary female names many of us grew us listening to over Configa’s piano heavy beat. We then move swiftly into the track ‘Rap CPR’ as the duo bring that classic sounding Hip Hop back to life with Hastyle’s lyricism accompanied by Configa’s Tupacesc rant at the end of it directed at the industry and calling out a few names which needs to be heard! There seriously isn’t a weak joint on this dope EP, I could of waxed lyrical on every track and every time I listen my favourites change daily! and the good news we still have an album from the duo in the pipeline.